Washington: India’s destruction of a satellite with a missile created hundreds of pieces of “space junk,” a potentially dangerous situation that established space powers have tried to avoid for years. India has sought to minimize the threat to orbiting satellites posed by Wednesday’s test of an anti-satellite weapon, which experts said was not technically illegal. “Unfortunately, there is no binding international legal rule (yet) which prohibits the wanton creation of space debris,” said Frans von der Dunk, professor of space law at the University of Nebraska-Lincoln. At the same time, the test “strictly speaking” was a violation of the obligation under the 1967 Outer Space Treaty to inform other countries of the test “since they might well suffer harmful interference with their own satellite operations,” von der Dunk said. “These kinds of tests increasingly go against the trend and spirit of international law, which is increasingly being seen as moving towards a customary international legal obligation to refrain from such junk-creating activities,” he told AFP. Since 2002, the world’s space powers have complied with an informal code of conduct to avoid the creation of space junk and the United Nations has endorsed a resolution along those lines. Indian Prime Minister Narendra Modi, in a rare address to the nation, said the satellite was struck at an altitude of around 300 kilometres, which is lower than the 410 kilometres used by the International Space Station and most satellites. The danger from “space junk” is not that it falls to Earth but that it collides with orbiting satellites. Even the smallest piece of debris travelling at great speeds can put a satellite out of action. 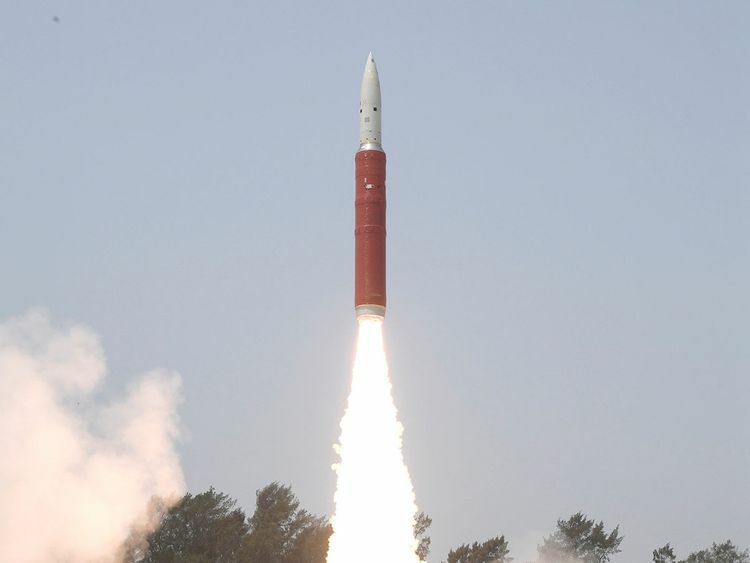 Most of the debris from the Indian test is expected to remain in orbit for several weeks before gravity exerts its pull and it is consumed by Earth’s atmosphere. Experts consulted by AFP said they believe the relatively low altitude of the test conducted by India renders it safe. “Not too many objects fly at this altitude, because it’s so low and there’s such high drag,” said Tom Johnson, vice-president of engineering at Analytical Graphics, Inc. The leader in tracking objects in space is the US military through its 18th Space Control Squadron. It maintains an online data base of more than 23,000 orbiting objects including active satellites, defunct satellites, pieces of rockets and debris from previous tests of anti-satellite weapons. These objects include more than 3,000 pieces of space debris created in a Chinese anti-satellite test in 2007 and more than 1,000 from an accidental collision in 2009 between a Russian satellite and an Iridium satellite. US Air Force Lieutenant General David Thompson, vice commander of Air Force Space Command, told a Senate hearing on Wednesday that the United States was tracking about 270 different objects in the debris field several hours after the Indian test. “We’ll provide direct notification to satellite operators if those satellites are under threat,” he said. “Let me say clearly it was detected and characterized and reported by Air Force systems,” he said. Experts believe the target of the Indian missile was a Microsat-R satellite, weighing 740 kilograms (1,631 pounds) which India launched on January 24. The US company Planet, which provides high-resolution photography of Earth through satellites orbiting at an altitude of around 500 kilometers (310 miles), strongly denounced the test. “We categorically condemn the anti-satellite missile intercept recently conducted by India’s defense department,” Planet said in a statement.